Today I’m going to tell you about best selling affiliate programme that gives results! This Affiliate Programme can make your way to your Dream Car. Do you know that now in the market the best SEO tools is SEMrush. It is a great SEO tool which allows you to do all SEO related stuff. Ḥere, is the Detailed Review of SEMrush with Practical. SEMrush Tool is loved by everyone in this world so if you will become its affiliate then you will surely get sales because of the popularity of this tool. How to Get Started with SEMrush Affiliate Programme? Step 1. Visit berush.com and create an account and by creating account you are ready to your Dashboard. Step 2. Fill Up Payment Method (Paypal or Wire Transfer) and Tax Form form. Step 3. You are Ready to Promote SEMrush on your Own Blog. 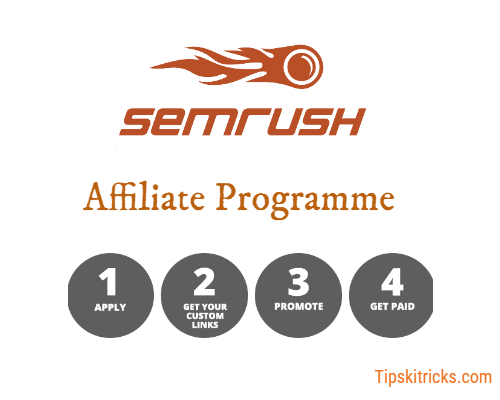 Here are few benefits of joining SEMrush Affiliate Programme. 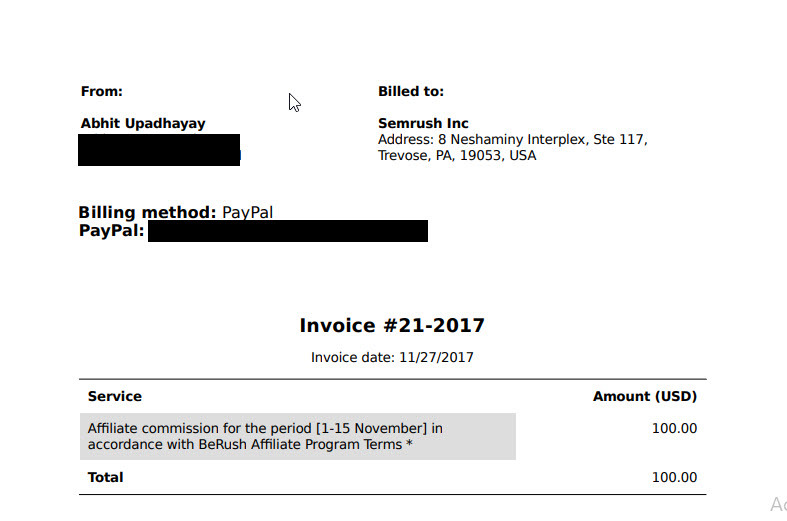 Here is the invoice proof that I have received the payment from SEMrush. You can make the real and handsome amount of money because SEMrush tool is very popular itself, you have to just recommend your audience. You will get Recurring Commision every month, this affiliate is not like other affiliates which will only pay once. SEMrush Affiliate Marketers earn Recurring Commission every month. For example, if you get 40$ for one sale and total you get 5 sales that means you got sales of 200$, now the best part is that you will get 200$ every month while your users are connected with them. SEMrush take cares about their affiliates and they provide a personal manager to every affiliate. Believe me, I was facing many problems while filling tax form but my personal manager made easy for me and guide me in every step. You will get promotion materials like banners and widgets. The best part, it is fully customizable. Here you can see that you will also get fully customizable widgets so that you can’t miss any revenue. You can take your earned income via Paypal or Wire Transfer. Payments are done on 10th and 25th day of each month except weekends. If 10th or 25th day contain weekends then payment will be processed on Monday. SEMrush Affiliate Programme is a great programme to join, because once you will achieve good commission then you will make money while sleeping. Hope you like this Review of Amazing Affiliate Programme, do share with your friends. Awesome article Abhit will love to share this with my audience. and wished to say that I have truly loved surfing around your weblog posts. Hello.This article was really fascinating, particularly because I was searching for thoughts on this matter last Friday.